Whiplash injuries are commonly sustained during a car accident. Acceleration and deceleration forces suddenly throw drivers and passengers alike forward-and-backwards and from side-to-side causing the spine, especially the neck, to hyperextend and hyperflex. This in turn causes dysfunction and pain. The dysfunction from these excessive movements can cause injury all the way down the length of the spine. It is very common that damage to the body can occur even in a minor fender bender where the vehicle may have not even been dented. During a car collision, damage can occur to both the soft and hard tissue structures of the body. Soft tissue includes: the nerves, muscles, ligaments and tendons. The hard tissue structures are the bones, joints and discs. The spinal cord and spinal nerves are key to the overall proper functioning of the body. Any damage to spinal soft and/or hard tissue can compromise nerve and spinal cord function. Damage to the spine may lead to any number of disorders that fall under the definition of whiplash. Immediately following a collision many people report feeling fine. Others begin to feel symptoms of whiplash immediately. For those that initially repost feeling fine it is very common that under the surface they may in fact not be well. If the ligaments, muscles, tendon or nerves are microscopically torn, then an inflammatory process builds up over time. The bony structures of the spine are easily jostled out of their normal position following a collision as the spinal soft tissue, whose functions are support and stability, become injured and weak. The body will create a reactive response of protection by causing muscles to go into spasm, thereby holding the bones in this new maligned position. If the spinal bones stay misaligned or subluxated for long periods of time, this sets the stage for chronic problems to develop over time. The effects of untreated injury related subluxations sets the stage for spinal arthritis to develop and the effects of this arthritis may not be felt for years. Oftentimes insurance companies will urge a quick settlement, however in our nearly 30 years of experience in handling cases of this nature, we have found that it is best to wait until after a chiropractic evaluation before you sign off and sign away your rights. In addition, People fare differently in an accident, depending on where they were situated in the car, health status, age, and so on. Don’t make the mistake of self-evaluating based on the other occupants’ condition. Drivers of newer cars benefit from state-of-the-art airbags, seatbelts and headrests, but can still suffer unseen inertial injuries, and should not delay a chiropractic consultation. The body’s healing reaction will begin immediately after the car accident. First, there is the inflammatory phase, which is marked by pain and swelling. Next, there is repair and regeneration, a process which may take up to 2 months. In this phase, the body forms scar tissue on the damaged areas. Finally, there is remodeling, where the body tries to remake the scar tissue in the original tissue’s image. Healing duration varies according to the degree of injury and the overall health of the individual. Why See a Chiropractor for Car Accident Injury? Uncorrected, they can lead to incorrect healing and chronic pain. Where Can You Go In Los Angeles for Whiplash Care? Dr. Jeffrey Ptak of The Ptak Center for Health and Healing in Santa Monica is one of the world’s leading authorities in whiplash care. For 3 decades, he has been providing relief to patients with whiplash injury, helping them through all phases of recovery. Of course it’s best to see a chiropractor immediately after a car collision, but late is better than never. Research has shown that chiropractic care can help patients already suffering from chronic whiplash pain. 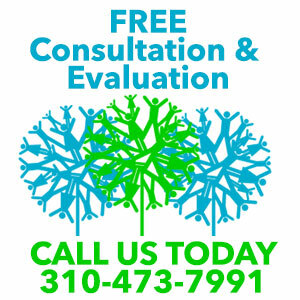 Call (310) 473-7991 to schedule a consultation with Dr. Jeff today, and start down the path of permanent pain relief.